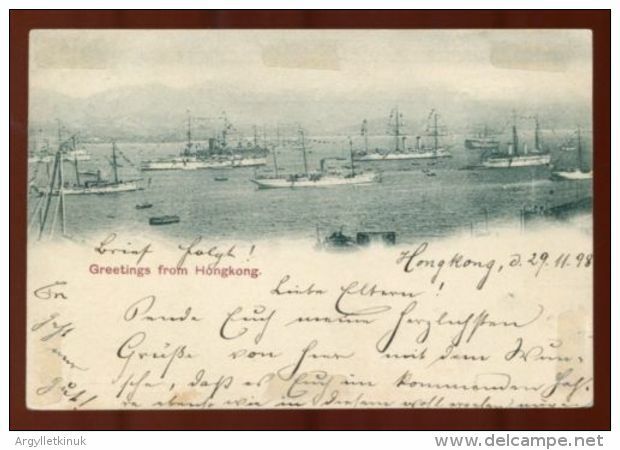 Important card dated 29.11.1898, probably sold by Krose & Co, tobacconists and showing warships in the harbour. The ships are dressed for an event, believed to be Queen Victoria\'s Diamond Jubilee Celebrations on Tuesday, 22nd June 1897. The Ships are in the Naval Anchorage, viewed from the Royal Naval dockyard as evidence by the crane at the end of the naval jetty at extreme left. 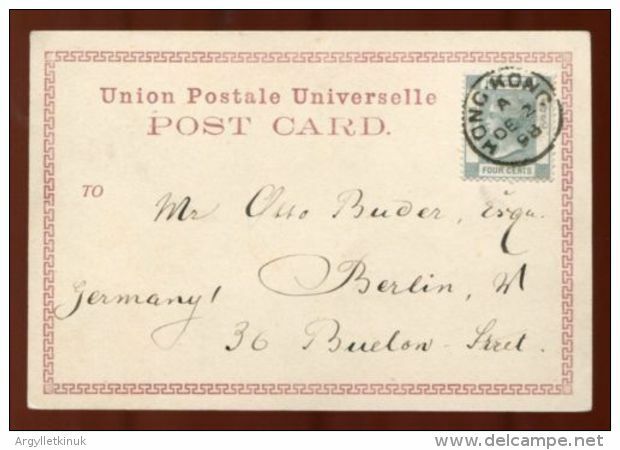 The first Hong Kong postcard was issued on the 10th March 1898 so this is a very early example and in fine condition.